While you won't be able to drive this beautiful Bently off the lot, bank those bucks and celebrate at this chic classic. The epitome of San Francisco elegance coupled with advanced networking technologies makes this distinguished building a delight for a grand night, cool for a corporate collective as well as simply swell for a smaller soiree. 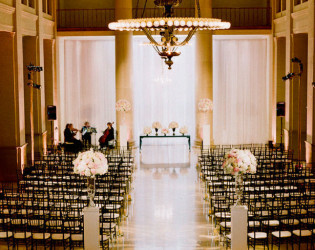 One of the most majestic venues on the West Coast, the Bently Reserve is an unforgettable location for your wedding day or fabulous event. 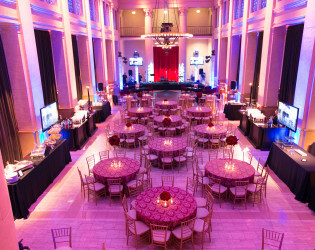 Built during the Roaring 1920s, the Bently Reserve is a world-class events venue. 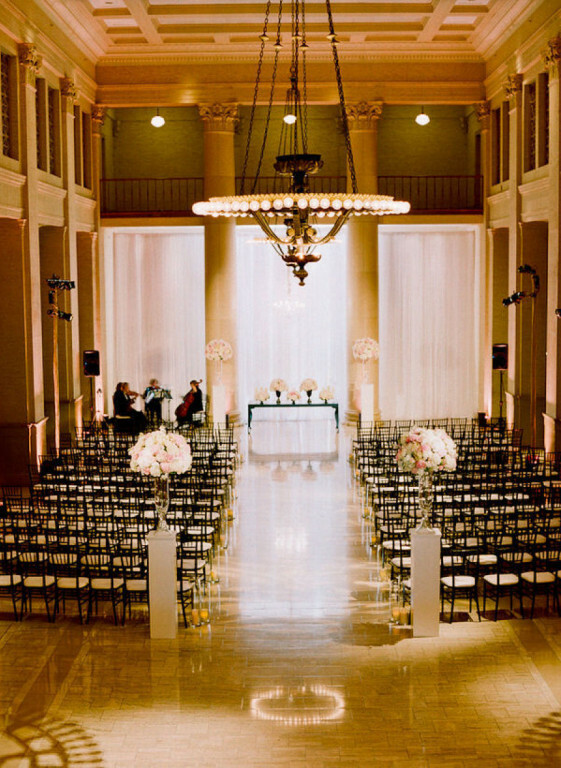 This historic landmark dramatizes the spirit and style of San Francisco, and is versatile enough to make any couple’s wedding dreams a reality. 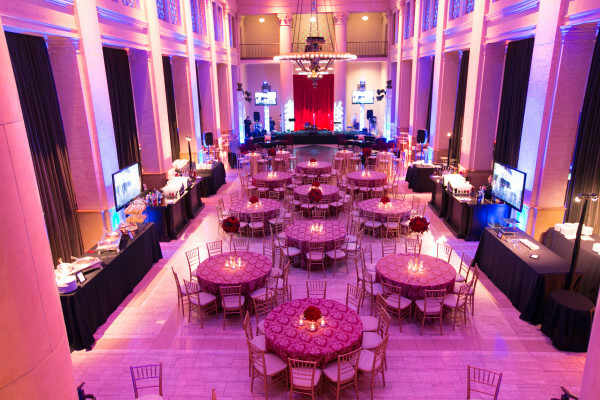 We have the ability to host both the wedding ceremony and reception, parties, fundraisers, wine tastings, galas, and product launches with an array of options. 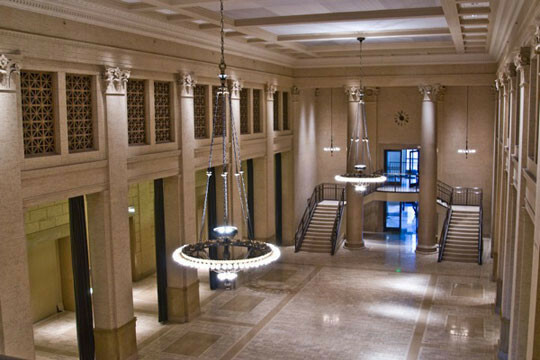 The Banking Hall features two picture-perfect light-flooded entryways, two green rooms, an outdoor balcony, and mezzanine level. The perfect places for a cocktail hour or a gathering point to set the evening’s ambiance. No onsite accommodations however the Bently has a great partnership with the adjacent Le Meridien Hotel. 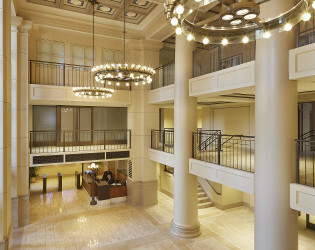 The Le Meridien Hotel is right next door, and accessible through a pedestrian bridge directly from the venue. 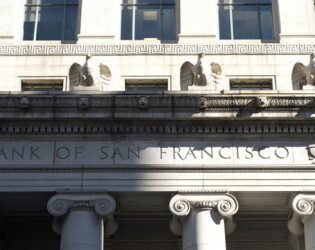 From 1926 to 1983, the building was known as the U.S. Federal Reserve Bank Building and served as a major branch of the U.S. Federal Reserve. In 1925, during the construction of an armored car entrance into the vault, the remains of a fully-rigged sailing schooner, the Apollo, were discovered. More than 40 artifacts were recovered from this beached ship, which also once served a store, saloon and hotel. A second ship, the Niantic, was also found beneath the foundation. The vault has now been carefully restored and the history of both ships is commemorated in two of the meeting rooms, aptly named the Apollo and the Niantic. In 2009, the Energy Foundationʼs offices at the Bently Reserve were recognized with the first LEED Platinum® Commercial Interiors project in San Francisco. At the time they were one of only 13 offices worldwide to achieve this standard. 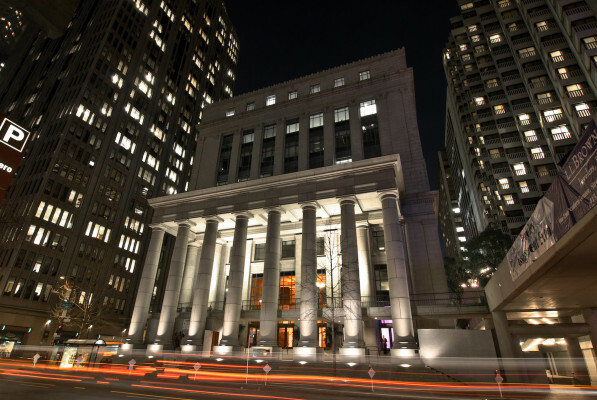 Guests entering from the Battery Street Lobby will experience the full splendor of the space as the hall opens up to 25-foot tall Doric columns that flank the room and emphasize its awe-inspiring height. Hand-painted travertine walls echo the genuine Italian marble floor tiles. Two dazzling chandeliers, personally designed by the architect himself and hung from an ornate plaster ceiling, have been meticulously reconditioned to their original splendor. Alongside these beaux-arts masterpieces modern recess lighting has been added to enhance their dramatic effect. The Banking Hall's large doors are solid bronze, accentuating the bronze and marble imperial staircase that gracefully rises from the floor. 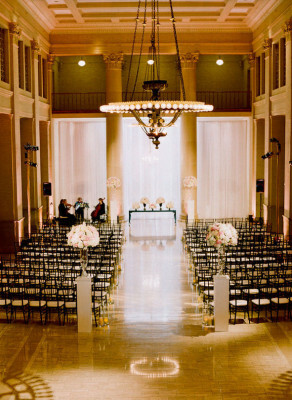 This grand staircase leads to an open mezzanine and outdoor balcony, providing an invigorating location for cocktail receptions or the staging of a dramatic bridal entrance. 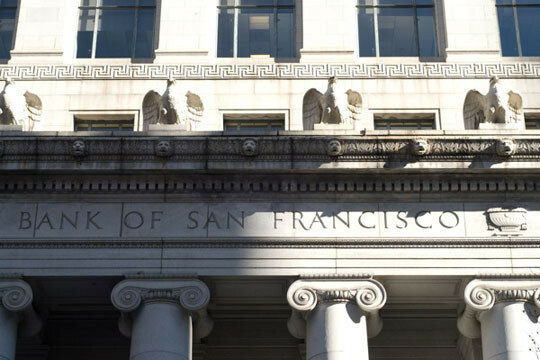 The San Francisco Federal Reserve was designed by George W. Kelham, a prominent San Francisco architect who led the conservative wing of the San Francisco architectural establishment; the building opened its doors in 1924. 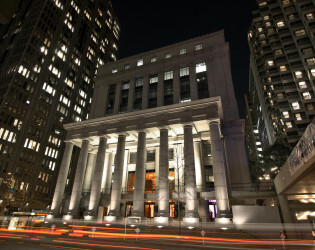 The Bently Reserve features a prominent Beaux-Arts Ionic Colonnade paired with an Art-Deco style that serves as one of the early incantations of the fashionable Streamline Moderne style of the late 1920s and early 1930s. 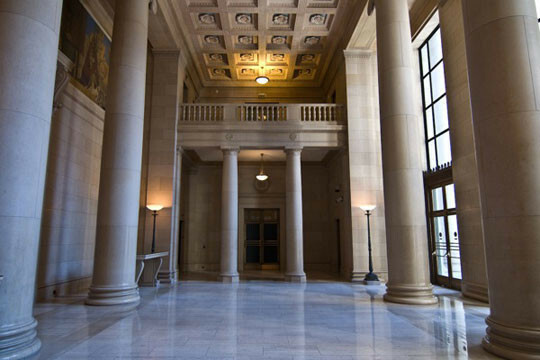 Inside, the Banking Hall was designed in a temple style, and features murals by Jules Guerin, the artist who created the palette for the 1915 Panama-Pacific International Exhibition. 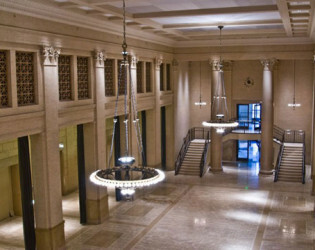 Rental of the Banking Hall comes with a variety of spaces to use for your wedding day including two picture-perfect light-flooded entryways, two green rooms, and an outdoor balcony and mezzanine level that provide the perfect places for a cocktail hour or a gathering point to set the evening's ambiance. 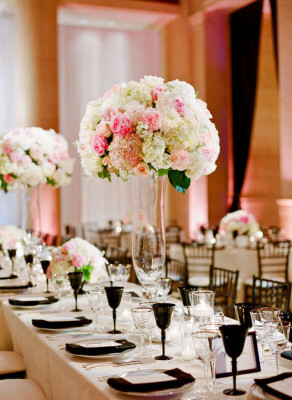 High speed wi-fi is always included in your venue rental. 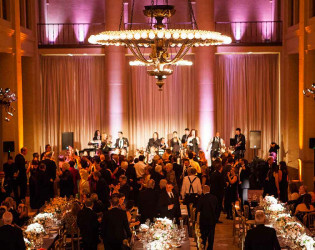 Awards & Notables The Banking Hall at the Bently Reserve was recently named Best Ballroom in North America by BizBash Magazine. 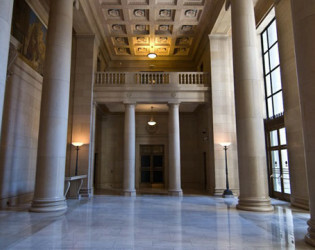 The Banking Hall represents the pinnacle of West Coast style and technology. It can accommodate any event, from grand gatherings to exclusive evenings. 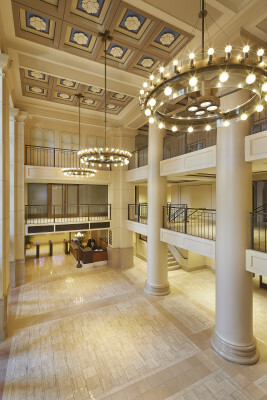 The Banking Hall includes a mezzanine level and balcony, perfect places to socialize or gather for cocktails. 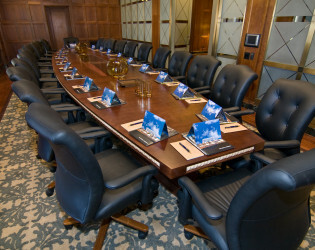 The comfortable Conference Center Lounge is a wonderful setting to accommodate cocktail receptions, networking functions and dining during your event at the Bently Reserve. 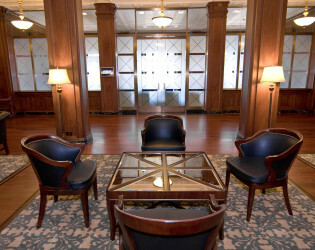 - View: Inspired by old world elegance and surrounded with modern amenities, the Lounge offers a unique guest experience. 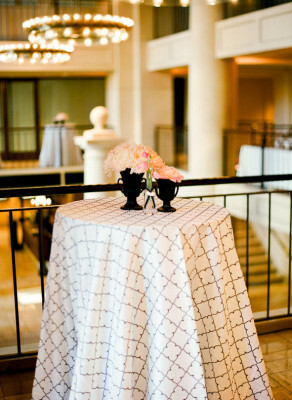 The event friendly Adriatic Room is a perfect place for event cocktails or an intimate dining experience. 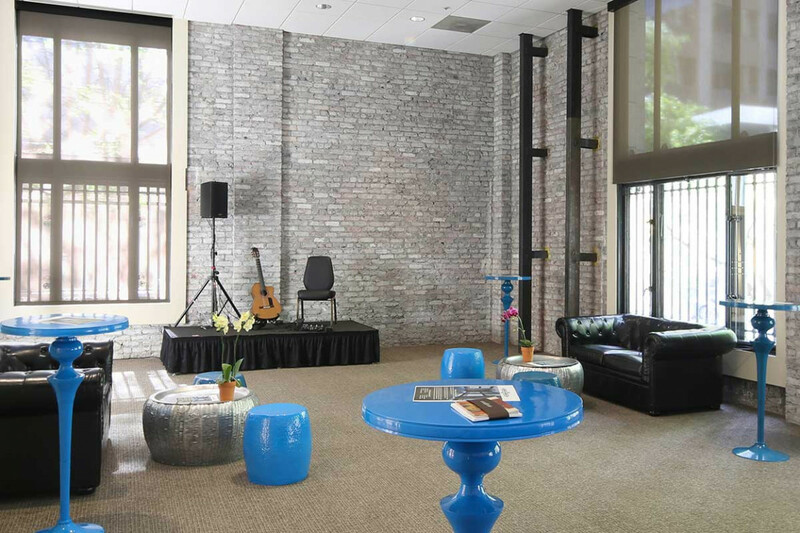 - View: Opened in Spring 2015, the room features exposed brick walls and enormous windows that provide ample natural lighting. Renovated in Spring 2015, the Gateway Room is one of the largest meeting venues. 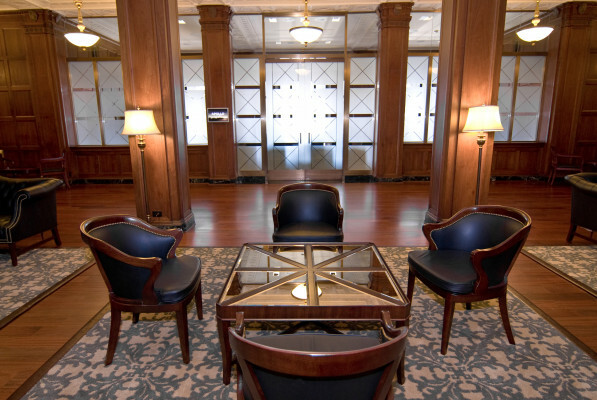 Adjacent to the Banking Hall, it is the perfect gathering place before or after your event. Named after San Francisco’s Farallon National Wildlife Refuge, the Farallon Room is located next to the Banking Hall, and is perfect as an addition to Banking Hall events. Our preferred vendor list offers the city's finest caterers to suit your needs. 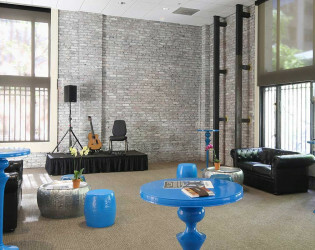 The second floor features an open mezzanine and outdoor balcony, providing an invigorating location for cocktail receptions. Alcohol must be provided by Best Beverage Catering. What Happens When A Wedding Showcase Turns Into A Highly Anticipated Party? As a longstanding event industry insider, I have been lucky enough to know bada** lady bosses Paige Appel and Kelly Harris of Bash Please for almost a decade. I'll never forget the very first Cream event they threw many moons ago and I have since watched it grow to epic proportions where the 'cream of the crop' gather in the event industry. Yes, The CREAM is a curated experiential event, showcasing the most innovative and creative people working in weddings . In fact, The Venue Report has even been lucky enough to have been invited to be a part of The CREAM in the past. 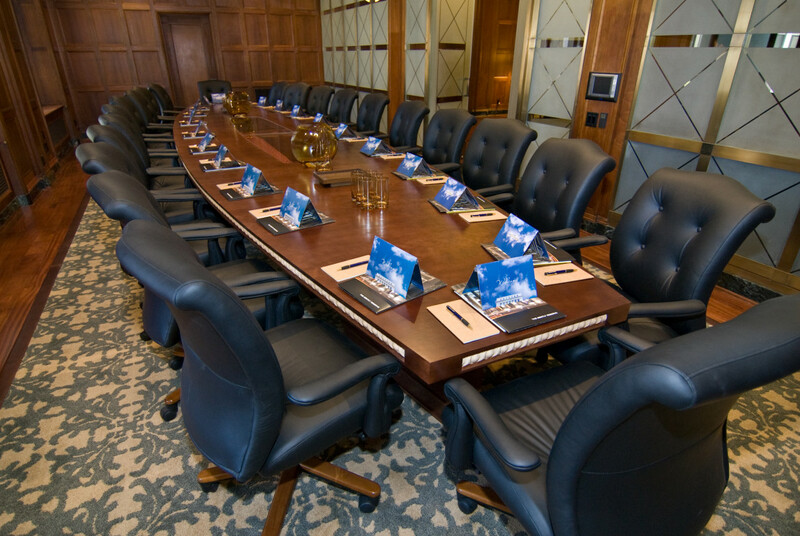 The Apollo room is a perfect place to have a meeting. 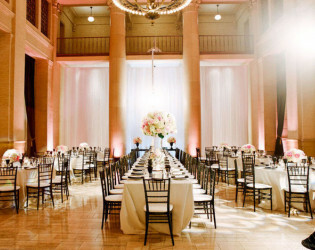 Terrific lighting at this wedding reception in the Banking Hall. A beautiful event being held in the Banking Hall. The Bently combines contemporary San Francisco style with a cherished and colorful past. Featuring a lavish mural in the lobby by artist Jules Guerin, the spirit and style of The Bently Reserve is nothing short of legendary. The two dazzling chandeliers were personally designed by the architect himself and have been meticulously reconditioned to their original splendor. 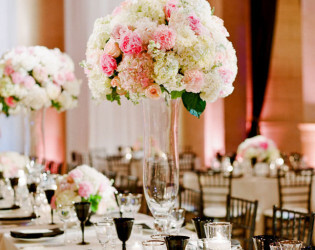 Nancy Liu Chin Floral and Event Design creates instant elegance by scattering soft floral arrangements throughout the venue. 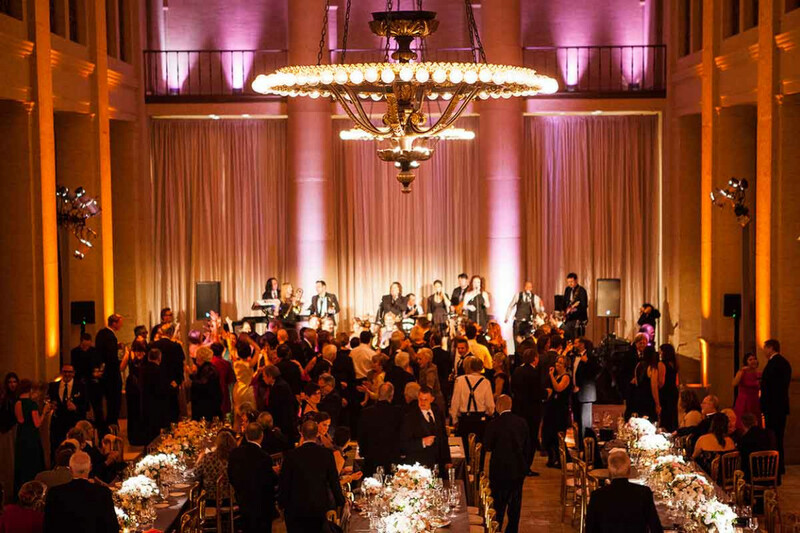 As one of San Francisco’s most cherished buildings, The Bently Reserve host the West Coast’s most lavish events. 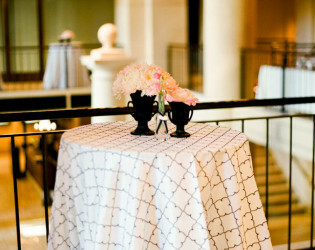 Soft pink floral by Nancy Liu Chin glowed against the marble of the Bently Reserve. 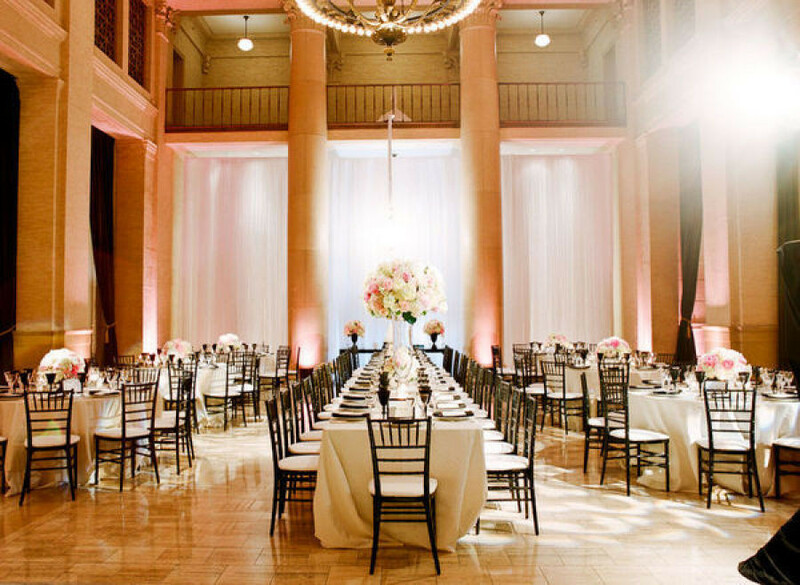 This incomparable space offers the perfect backdrop for gala events, conferences, fundraisers, corporate events, and product launches and its ambience is unparalleled for weddings, private parties, and rehearsal dinners.